To celebrate Spring, I'm running a sale in my Etsy Print Shop. This is just a selection. Get 20% off on all orders and free domestic US shipping with the code YAYSPRING until April 1st. My condition has taken a slightly more positive turn since my last update. The massive nausea is mostly gone though it's been replaced by tinnitus and I'm still prone to vertigo. Considering the state I was in a week ago, a constant ringing in my ears is actually not as bad except at night when I'm trying to sleep. I really appreciate all the positivity and well wishes! They've totally buoyed my spirit. Have a splendid weekend everyone! Fabulous sale Rowena! Glad you're feeling better. It takes time. Don't rush things. Take it one day at a time. Hope you have a great weekend. I've only managed to catch up on blog reading recently so I just found out about this. Oh no!! I've had vertigo before and oh my goodness, I couldn't remember a time when I felt so sick 24/7. It didn't matter if I was lying down, just one movement rendered me useless. *hugs* I hope you feel better soon. I love that photo of the angel! I'm so glad to hear you're feeling better! Sounds like it's been so rough. Your pictures are so lovely... buying a few and hanging them as a collage looks like the perfect way to brighten up an NYC apartment wall. Hope you have a lovely and relaxing weekend! Sweetpea, I've just caught up with your posts... you poor little lamb. Hope you're getting better and get plenty of rest - stay horizontal! Are ginger candies/cookies any help at all? Have always loved your pictures, especially A Charmed Life and Mod Girl! Sending you hugs and sunshine! Beautiful prints you have for sale. Pink Waterlily is so pretty. Wow, I love the black & white pictures, fantastic sale! I hope you get over this uncomfortable illness pretty soon, dear! your prints are so so beautiful love them! What a wonderful idea. Your photography is stunning. I wouldn't mind owning a few peony prints- they're my favorites. Amazing pictures, I adore them! I'm happy you are better and to see you again on my blog! Your prints are soo pretty! *^_^* Take care of yourself! i am glad to hear you are feeling better! Great pics! I'm sending more love your way! Happy weekend to you! Glad to hear you are feeling better - be kind to yourself! I love all your prints. I am so glad you are feeling better! 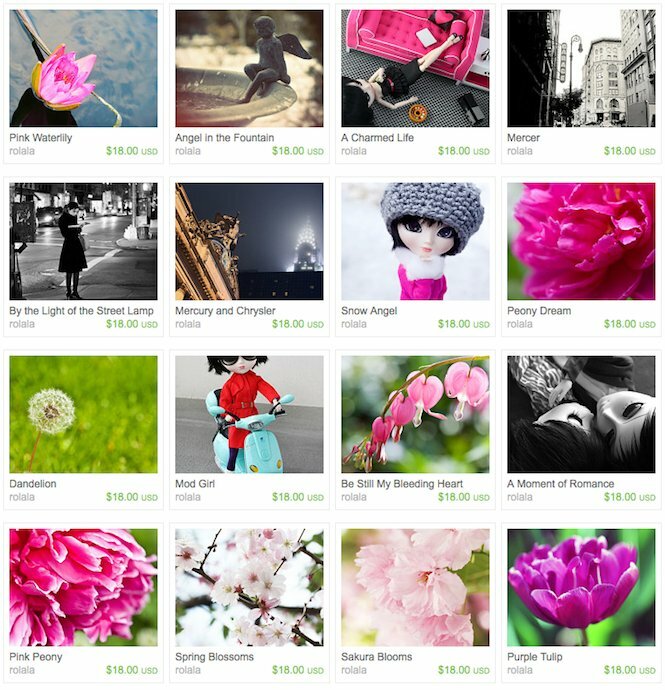 I hope the overly nice credit card man gave you some good tips :] Your prints are gorgeous. You are quite talented. I'm very glad to hear you're feeling better. It's a great news. I love these photos, they are so pretty. I'm glad to hear you're feeling better! It's good to hear you are feeling better!! I hope you continue to improve especially since the first 2 episodes of the drama you told me about with LSG just went up online. You'll have to get well enough to watch it! I love all your photographs! Lovely stuff. Great to hear that you are feeling much better. My husband has vertigo and he hates the feeling. I'm glad to hear that you are feeling a little better and hope you continue to improve! That vespa photo always gets me - too cool! I am really glad to hear you are doing better! I love the picture of Rena on the vespa! She looks fabulous!!! Gorgeous prints, darling! i love the one called "A charmed life"
i hope you're ok now!!! get well soon dear. Hi hun, I am SO glad to hear that you're doing better :) I hope the vertigo completely subsides. Your photographs are truly beautiful. i love how vibrant the colors are in all of your photos. Very glad to hear you are doing better my dear. My husband has on and off vertigo too so I sort of know how awful it is! I am so sorry to hear that you've been not feeling well. I hope that things are on the mend and only get better! Loving the bright pink and turquoise in your prints, so cheery! Thank you for the update. I hope it all clears soon. Awww, this is so tempting! I love especially your New York prints, and I should definitely jump on this occasion :) Do you ship internationally as well? Amazing sale! You have breath taking images! I hope you'll soon be feeling at your best! If you want som spring mood ala Paris you can check out my blog. Awww so pretty! Love all the close up peonies...so romantic! Thanks for visiting and leaving awesome comments, hope to see you back soon!